I’ll tell you something, I’ve got to say this: I think the trade offers are going to be really interesting,” predicted Friedman while answering a listener question in the Ask 31 section of the podcast. “Buffalo is not trading their pick; but I think that even from 2 on down, I think there’s going to be offers. I don’t see Carolina trading their pick either. I think it’s more likely they keep the player. “But I do think Montreal is going to get tempted, and I think Ottawa is going to get tempted. And then I think Arizona will be interesting, because that’s after where the three forwards are going to go, and then I think Arizona is going to be in that spot where teams will be calling them too. There seems to be plenty of trade-related discussion involving picks in that range of the draft each year, although few actually come to pass. The Buffalo Sabres won the lottery and will select Rasmus Dahlin first overall. The Carolina Hurricanes own the second pick, the Montreal Canadiens have the third selection, and the Ottawa Senators are in the fourth slot. The rest of the Top 10 is rounded out by the Arizona Coyotes, Detroit Red Wings, Vancouver Canucks, Chicago Blackhawks, New York Rangers, and Edmonton Oilers. If John Tavares decides to re-up with the Islanders, Garth Snow will have potentially interesting trade leverage with the 11th and 12th picks. Tavares opting to leave or at least explore the free agent interview period would almost certainly mean the Islanders simply hang onto the selections and continue to restock the cupboard. The Dallas Stars are at 13, the Philadelphia Flyers are at 14, and the Florida Panthers are at 15. Also in the Ask 31 section of the podcast was a question from a listener wondering what will be the biggest trade of the summer. “That’s a great question,” said Friedman, to which co-host Jeff Marek wondered if it might be someone in Ottawa. “Ottawa, I think, has done the smart thing. They’ve taken a timeout,” noted Friedman. “But I think Karlsson is going to be a big one if it happens. I’m sure they’re all sitting there and saying, ‘Is there any way that this can change.’ So I’m sure they’re thinking about that. “Pacioretty,” Marek mused, moving on to another name potentially on the move. Marek wondered if a new coach coming in – Friedman actually found out it would be Jim Montgomery during the recording of the podcast – might change the dynamic with Spezza. “He’s got one year left on his contract,” noted Friedman of the veteran forward. “Jeff Skinner. I’ve heard that L.A. has interest in Jeff Skinner. “Last year there were blockbusters that came out of nowhere. Like what happens, if for argument’s sake – and I have no reason to believe this is happening – first of all, what happens if Tavares turns into a sign-and-trade. That’s your big one. But what happens if say Columbus feels that Panarin won’t sign there. Marek replied with a guttural, “Don’t do it Calgary,” which is a sentiment that should be shared by Brad Treliving. “It would be a big deal,” said Friedman. “It would be. I think those are probably some of your big ones. Marek asked if the Jets were going to be a cap team. It is certainly shaping up to be an interesting few months of speculation. Karlsson has another season left on his contract, but was in play before the trade deadline and certainly could be dealt in June if his camp won’t commit to an extension with the Senators. Teammate Mike Hoffman has two seasons left on his pact, but was also in continual trade rumors this year. Tavares is slated to become an unrestricted free agent. Pacioretty has one season left before he can become a UFA. Jeff Skinner is also a year away from unrestricted free agency, and The Tom Dundon Show promises to be popcorn-worthy. The possibility of a significant roster move with the Hurricanes seems likely, although desire to make change and effecting change are two completely different entities in the hockey roster world. The Anaheim Ducks are locked up with a few big no-move clause contracts and Perry is one of them – $8.625 million for another three campaigns – although it does appear as if there would be trade interest should the Ducks want to pursue that route with the winger or center Ryan Getzlaf. Hamilton, incidentally, has three seasons to go on his six-year pact and there would most certainly be suitors from around the league. His modified no-trade clause doesn’t kick in for another year either. And yes, while the Jets continue to enjoy their stellar season and look to push this impressive playoff run, eventually the piper – and players – will have to be paid in this salary cap world. As alluded to, Laine has another season remaining on his entry-level deal. Trouba will be a restricted free agent this summer, and he holds the arbitration hammer as well – a position in which Hellebuyck finds himself as well. It's barely spring and we are talking about summer trades? That don't really say much in that quote. A lot of kicking the tires, but no solid proposals. Just all, "Hey Karlsson, amirite?" No talk of returns. If Dougie Hamilton is actually on the market, an O’Reilly Hamilton deal is something that both teams should explore. I think it would need parts added, but those are two players of similar value. How do you replace ROR? I love Casey, but it could be two years before he is ready for the 2nd C slot. You can’t. Or least not without sliding a lesser player into that slot. I’d look for Casey to pick up the points and another acquisition to play the defensive role. Or I’d ask for Backlund as well and see what they need from our end to balance. Flagg seems to think we can just eliminate ROR’s role and deploy our forwards differently. EDIT: in posts I’ve read prior to the one above. ROR played debatably the toughest center role in the history of tracking more than goals, assists, and points. We finished the year with 62 points. Bergeron is the only other center to ever average 30 defensive zone starts in a game, and ROR was almost 10% higher than Bergeron's highest number in that regard. This is not a role that needs filling. Especially not with one of your two players capable of scoring 60 points. No other team in the playoffs has a center that gets used to the extent ROR does. Bergeron is the only one that comes close, and they have two other point per game players that not only pick up the slack, but are on that line creating a super line. c.) shortens the skating life of a guy who is in his late twenties, already not fleet of foot, and is under team control for years still. I'm not saying we can easily find someone to take ROR's minutes. I'm saying that there's no reason for those exact minutes to exist, and looking at any good team can confirm this. I'm saying that they didn't help us win. And I'm also saying that any GM worth his salt can build a checking line better than the ones we've seen, with the assets, players, and UFA options available. It might not play as good of defense as ROR, but the three of them might play close to as good defense as ROR - pouliot - wilson and other combos we've seen, and the freeing up of a guy like ROR and the proper sheltering that becomes available (now a young gun can play with Ryan, now we have two beast offensive lines used in a way to maximize that offense, and guarantee some soft minutes behind them) and the net gain certainly can't be worse than artificial low-event hockey that scores us under 200 goals in the most offensive season the NHL has seen in a decade, and leads us to a last place finish. ROR doesn’t help us win? It’s like saying Jack doesn't as well. These are just 2 of 22/23. It’s a team game. When this season ended we had 5 proven and reasonably effective forwards (Jack, Sam, KO, ROR and Erod), 2 D (Risto and Marco) and no goalies. No single player can help a team over come that much dead weight on the roster. This isn’t ROR’s fault. It’s TM’s primarily with DR and a some Jbot thrown in as well. I’d rather wait one more year before even thinking about moving on from Risto and ROR. We can’t replace their talents and both should be more effective next year with better talent surrounding them. I doubt either’s trade value will decrease much (if at all) and could increase from better results on a better team. Sorry to be speaking for Randall, but I don’t think he should saying RoR doesn’t help us win, he saying ROR as currently used doesn’t help us win. I'm totally against trading either. For me it’s all about the return. Neither player has to be traded, therefore the deal absolutely has to make sense for the Sabres. With the Sabres Locker Room being described as Dysfunctional, Divided and Toxic moving out some additional pieces might be necessary. Possible replacements for ROR might be an overpay for Bozak on a three year deal. No more overpaying for anyone, those days are over. If the player needs to be overpaid to come to this team, screw him. We need players that not only have the talent but want to be a part of what this team will become. Build a goddamn team for once Buffalo. I should have been more specific, the overpay would giving him more AAV in exchange for a shorter deal that way he is off the books in three years and the Sabres would not be paying for too much declining production as he would be 35 when the contract is up. Seems like Antipin is going back to KHL. If there's toxicity in the locker room I would almost be assured that they will move that person out this year. It's full forward now. If it's ROR, he'll be gone. If it's Risto, he'll be gone. If it's Eichel....... well... then I think you have to move him. I just don't think it's him. Elliotte Friedman had a Friday morning radio hit on Toronto’s Sportsnet 590 and it was pointed out to him that it’ll “eliminate a lot of the excuses” moving forward with a core of Jack Eichel, Rasmus Ristolainen, Ryan O’Reilly, Sam Reinhart, and Rasmus Dahlin. “Well, how many of those guys are they going to have,” wondered Friedman. “They’re going to have Eichel. They’re going to have Dahlin. I assume they’re going to keep Ristolainen. They’re looking for defense. You look at a lot of teams that are still around in the NHL (playoffs) right now, they’re pretty deep on the blueline. I haven’t asked Botterill about Ristolainen. I think teams are hoping he’ll be available, but I wouldn’t be surprised if he kept him and went for a deep blueline. “But Reinhart and O’Reilly, it’ll be interesting to see if those guys are Sabres next year. O’Reilly had his comments at the end of the year. Everybody is going to have a chance to take a deep breath. But if he’s available, it’s hard to find centers and he’s a good player. “Dahlin – The Buffalo fans deserved good news, but they still need a lot of players. I’m very curious to see after the emotion of what O’Reilly said, does Buffalo deal him or do they keep him. I wouldn’t be surprised if they test the market, and I think there’ll be a lot of interest because it’s hard to find centers. This was the second season of O’Reilly’s seven-year, $52.5 million contract, which comes with a $7.5 million cap hit and has no trade protection written into it. 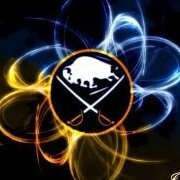 There is no question there’d be interest in the veteran center around the league, should the Sabres opt to make him available. Reinhart’s entry-level contract is expiring, and the restricted free agent will need a new deal this summer. He’s a year away from having any arbitration rights. Ristolainen, were the Sabres to entertain the notion of dealing him, has a contract carrying a $5.4 million cap hit for another four campaigns. He does not have any trade protection. It wasn’t discussed in Friday’s segment, but goaltending remains one of the key question marks for the Sabres entering 2018-19. Robin Lehner will be a restricted free agent with arbitration rights, while Chad Johnson will be an unrestricted free agent. “Here’s the thing I have with Kim Pegula, and you have to be careful because one slipped word here and you’re in big trouble,” began Friedman. “The Pegulas, when they took over the team, I was at that media conference and people were ecstatic. They didn’t like the previous owner, Golisano; they felt he didn’t spend money, and the Pegulas said they were going to spend money and did. “And their solution to a lot of things has been to throw money at it. And I think they mean very well. I think Terry and Kim Pegula do honestly want to do well for the people of Buffalo. They’ve tried a lot of things, and they’ve thrown a lot of money at things for both the Bills and the Sabres. It just hasn’t worked. And I think they’re learning now that you have to go slow. “You have to be like the Jets in a lot of ways. They took their beating locally. People were upset when Kevin Cheveldayoff and Paul Maurice got contract extensions earlier this year, but now you’re realizing that like the turtle and the hare, slow and steady wins the race. “I just think that my issue with Kim Pegula as president is does she recognize that. Does she understand that it’s got to be slow and steady because their leadership has been rush, rush, rush. And I just hope that she recognizes that it’s got be that way, because if she doesn’t then it’s going to be a problem. If she understands that we’re going to have to do things a little bit differently and there’s still going to be a bit more pain even though they got Dahlin, then I think it’s going to be fine. Russ Brandon resigned as president of the Sabres and Buffalo Bills Tuesday, with Kim Pegula stepping into both roles. Terry Pegula maintains oversight of team operations. In terms of how deep the cuts may be that are coming to the Sabres’ roster, things could get particularly interesting in the coming months. I dunno there's a lot of "teams may ask" and "could test the market" which, honestly, should be the case regarding any player not named Jack or the first round pick.